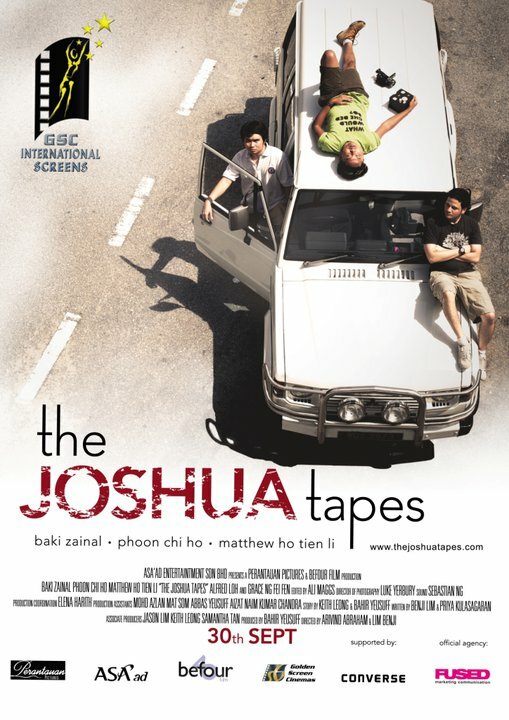 The Joshua Tapes opens in Malaysian cinemas on September 30th. Here’s an article I wrote for the official site and Facebook group about my role as an editor. The Joshua Tapes was an interesting edit for me. Due to camera and format technology advancing quicker than editing software, Premiere was struggling with the codecs (and there was the usual problems that the video files had been logged and named on a Mac beforehand),so we were sort of forced into trying out Sony’s new Hollywood editing package,Vegas Pro. And I’m so glad I did. Sony Vegas is easily the most elegant editing software I have used, on either PC or Mac. It does everything and does it well. It handled, easily, everything we threw at it on The Joshua Tapes. Back when we used Final Cut for S’kali, we struggled to get a decent preview unless we rendered first (and rendering is any editor’s pet hate) but with Vegas we got a near-HD preview in real time. My set-up here was pretty advanced. Half way through the project, Windows 7 was released in beta form, so we switched up to a quad core machine, running the 64-bit versions of both Windows 7 and Sony Vegas. We’ve also got a duel HD monitor set up which is essential. We used the second monitor as a full screen preview so we could see exactly what the final film would look like during the process. The performance of this machine is extraordinary. 5:13, the other film I edited last year,was roughly the same length and took 17-24 hours to render out the final HD movie (On a duel core, 32-bit machine) where as The Joshua Tapes took 4 hours. The plan of attack on The Joshua Tapes was a bit backwards. We actually began with editing the final section of the film, as we were producing an entry to a competition to gather us some attention. From this point, knowing how the ending felt, we started from the beginning and cut together the journey to that point. It was a strange way to work, but actually worked in our favour as it was clear what markers we needed to hit,emotionally, for the ending to have an impact. The edit was fairly straight forward, the only real complications came with the sound where there was a lot of work involved in removing car noises. 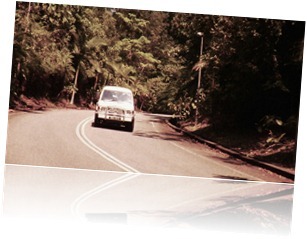 For various reasons, during filming, we couldn’t get permission to tow the vehicle, so it was actually driven – a nightmare for an editor as there were different shots and different background audio from the car being on different terrain in different gears. It was quite a challenge. For me, the most important part was to tell the story of the journey. A viewer at the start of the film, will think they’re watching a movie about a road trip. What I wanted was for them to come away feeling that, for the characters of the film, the journey was personally epic to them. Not in the traditional sense of an epic movie, but on an emotional level.